Parker Meridian Features at Palabra! 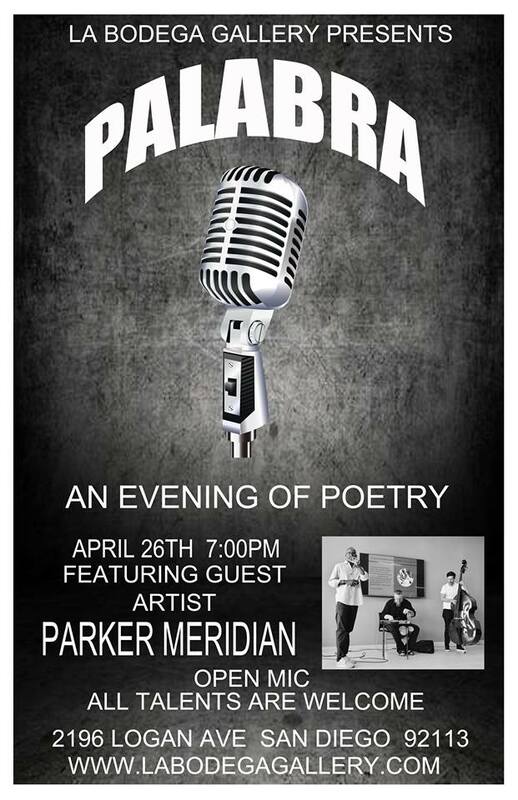 Home / Event / Parker Meridian Features at Palabra! This week’s feature is “Parker Meridian”. One of the city’s hardest working trios recently transformed a sample-based EP into a live band-based album. 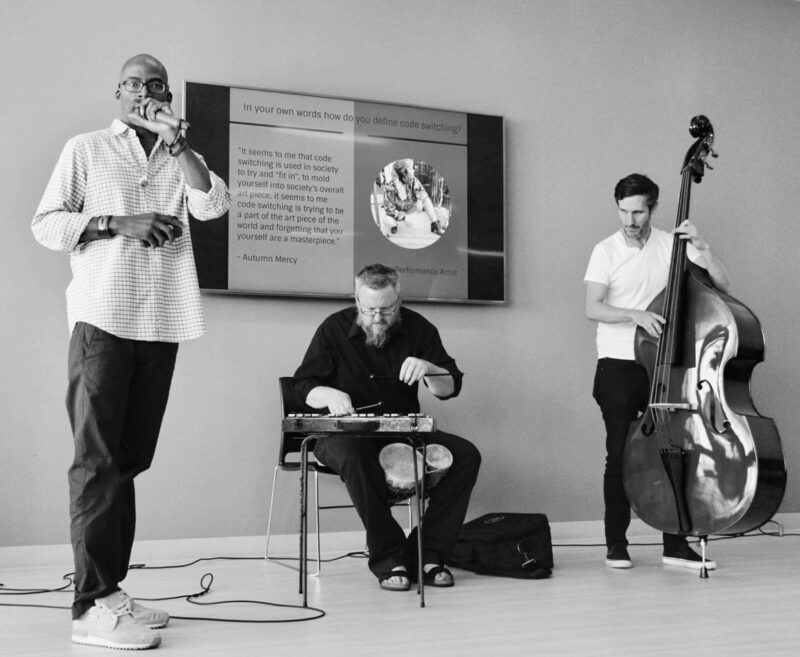 You can find them performing at any number of San Diego’s most respected hip hop venues, advocating for meaningful social change, or dabbling in film. Their newest music vid “New River” features contemporary dancer Natasha Ridley and touches on the socio-political effects of tv/film on latchkey kids in the Reagan era. This is a different kind of a rap group. After the featured reading we will have an open mic for anyone who wants to read. Everyone is welcome to come and share a poem, song lyrics, reading or a short story or just bring your ears for listening and enjoy the evening. Original poetry is always appreciated. Everyone needs some place to speak their minds and Palabra is that place. We are an inclusive and supportive group that aim to provide a safe, nonjudgmental, positive environment, so all talent levels are welcome. Chris Vannoy Features at Palabra!